Gas peaking power stations produce a small percentage of greenhouse gases because they are not used for long periods in any given day. We don’t need to eliminate all fossil fuel use. And certainly, if we use the wind and solar fuel savers in tandem with them, those emissions will be even lower. There isn’t anywhere near enough biogas to do what needs to be done. And if carbon capture and sequestration ever comes close to being a reality, it would be easier to sequester the relatively small amount of it from gas peakers as opposed to coal baseload. Like cellulosic ethanol, CCS does not actually exist in a meaningful, commercially viable format. Cellulosic ethanol was held out as the holy grail of biofuels, just as CCS is for coal. If we need CCS and cellulosic ethanol to save the planet …we are not going to save it. I noticed that Jenkins has really been warming up to that utterly unproven technology, but he’s heading down a dead end and, in my humble opinion, should double down on nuclear rather than muddy the waters with the idea that we will one day affordably take billions of tons of gaseous CO2 from coal plants, put it under 518 kilopascals of pressure at a temperature of minus 134 degrees Fahrenheit to convert it into a liquid and then pump it all underground. The percentage of El Hierro’s total energy consumption supplied by GDV [the entity providing wind and pumped storage] since startup is therefore revised back down from 24.1% to 8.2%. Using solar thermal to make electricity has been thoroughly tested in the real world and has turned out to be one of the most expensive sources of energy according to all organizations who rank energy sources. It is not likely to be a major part of the system. Solar thermal with storage is even worse. Solar storage of heat for heating has far more potential. Simply replacing all coal baseload with nuclear baseload would eliminate the vast lion’s share of energy related emissions. 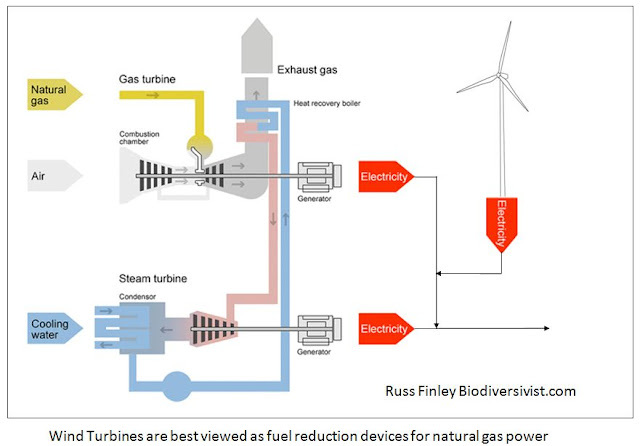 Although, designing a grid around nuclear’s ability to ramp up and down maybe 25% within hours to load follow would certainly help eliminate the fossil fuels in the system that are used for load following today. Batteries may one day be cheap enough to at least assist other peaking power sources for short bursts in a day. Peaking is very expensive power, so batteries may be able to compete at some point. Cost of energy from battery = cost of energy used to charge it x ~1.1 + ~1.1 x price of energy extracted from it + the cost of the battery, charger, and inverter. The cost of the energy used to charge it must be very cheap for any hope of being competitive. Also see (5). Begin rapidly turning off devices that use electricity when demand begins to exceed supply. In theory, we could use only baseload nuclear by making sure more electricity is not used than is being produced. When someone turns out their lights, someone else can turn theirs on etc. I'm being facetious. Alternatively, we could add wind and solar to nuclear baseload so that people can do things like wash and dry their clothes when it is sunny or windy. Demand response in any meaningful amount is tantamount to a degradation of quality of life. There is a smattering of it today where the pain is acceptable, but the more you use the concept, the more resistance you will get to it. The idea is that the ever increasing use of an already overwhelming number of gizmos will make demand response transparent to consumers. All major environmental organizations are against the creation of more hydro or the use of more land for biomass (there isn’t enough waste biomass to make a meaningful difference). And for very sound environmental reasons. This realization that the two largest sources of renewable energy are so very environmentally destructive is, again, in my humble opinion, why they cling so desperately to wind and solar. I suspect that it’s just a matter of time before we start reading about the impact on birds and bats of Jacobson’s 100% renewables scenario now that I wrote an article on it. Send me a note on Disqus if you run across an article or paper estimating the impact on birds and bats of Jacobson’s plan (but don’t expect to see any references to my stuff). 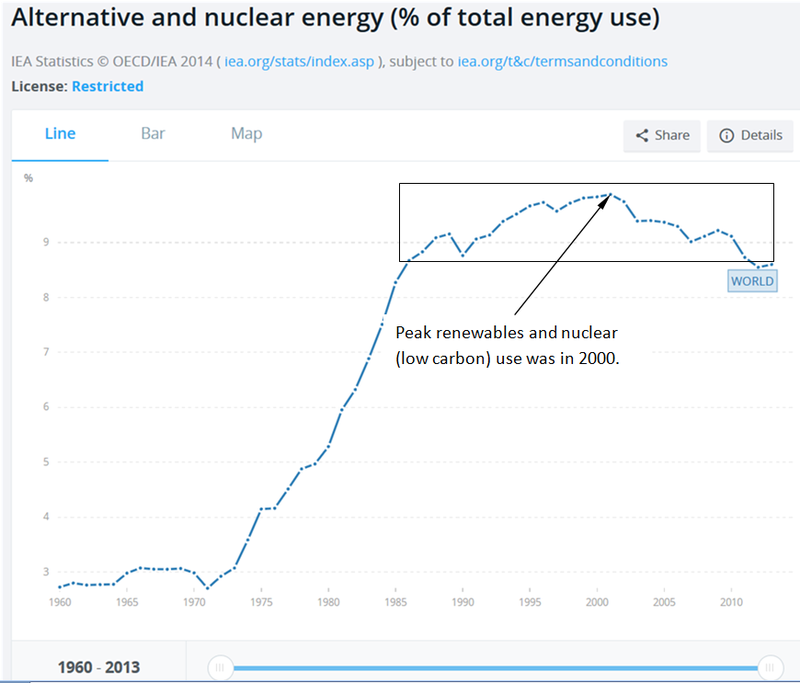 France almost completely decarbonized its electricity in a little over a decade with nuclear. Nuclear is the only low carbon source on the table that has proven it can rapidly and affordably scale. Granted, it would take government assistance to do what France did and that is why it may never happen thanks to members of the antinuclear priesthood. When you step back and look at the job I did on Jenkins’s pie chart (Figure 1), you might be wondering if there is any hope. There’s always hope …until there isn’t. Back before climate change reared its ugly head, the human population explosion was our number-one concern. Nobody had an answer for it and powerful groups strove to prevent any attempts to provide women with basic reproductive health care (Reagan’s gag rule etc). Suddenly, and unpredictably the rate of increase of population growth began dropping and the green revolution (resisted to this day by many enviros) kicked in. The anticipated global mass famines never materialized. With population heading for 9 billion, famines are still a threat and our ecosystems are not out of the woods, so to speak, but in a nutshell, it was all the result of a global meme suggesting that it just might be a good idea to limit the size of your family. Even with the Vatican’s great wealth, history, many hundreds of millions of fearful members taught from birth to believe in eternal damnation, and claims that the earth could easily handle 40 billion people …they still lost that war. It’s possible that the antinuclear priesthood will eventually lose their war as well. The combination of fear and ignorance has been used all through history to sway the masses. Look to Germany today with its purge of nuclear energy. It’s not that the antinuclear folks don’t now “believe” their own memes, they do, just as the Pope does. It’s just that they are false. Global emissions from fossil fuel use have stopped increasing for the last few years (see Figure 3) and as was the case with declining population growth rates, economists have been cobbling together reasons for it in hindsight. Although wind, solar, and nuclear have been increasing in the past few years, that fact can’t account for the leveling because we still use a lower percentage of low carbon energy for our electricity than we did decades ago (see Figure 4). 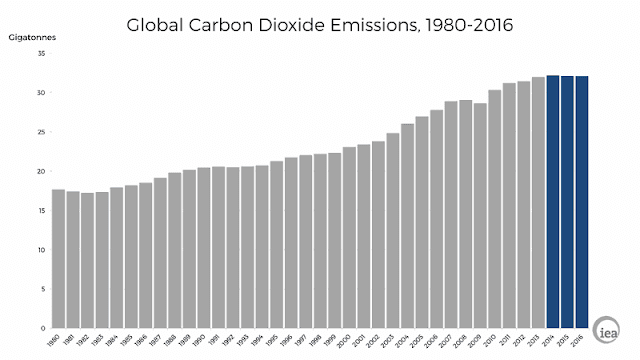 Because fossil fuel use continues to climb, one possible explanation for the leveling is the displacement of more carbon intense fossil fuels by less intense ones (coal produces roughly twice as much per unit energy as gas). Keep in mind that if you stacked those bars in Figure 3 on top of each other you would get a feel for what is still being dumped into the atmosphere bathtub every year by energy use alone. See Figure 5.